Nanotechnology based anti-fouling/anti- corrosion coatings for Metals, Fiber Glass, Glass and other Industrial Applications. Nanotechnology based coating - ds shieldTM tailors roughness levels, and modify the energy of the underlying surface. The flow-surface interaction can be engineered to delay the transition of flow to turbulence. Eventually, it helps reduced flow forces, and save costs for structures such as aerofoils and wind turbine blades. The reduced drag on blade surface helps improve the overall performance of wind turbine by 5% - 30%. 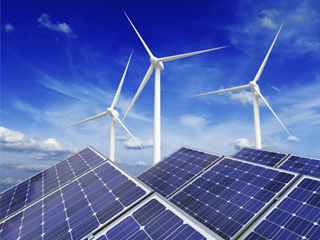 The superhydrophobic coating also prevents accumulation of water, ice and dirt on Wind turbine blades and Solar panels. 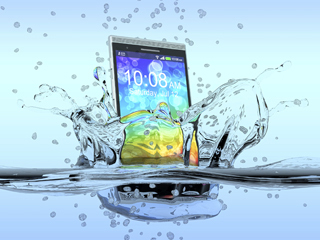 Nanotechnology based coating - ds shieldTM anti-wetting/ anti-fouling feature prevents electronics – Phones, Tablets, Circuit boards surface from soiling against rain, water, dirt and offers a self-cleaning property. The coating forms a barrier on the surface and protects against adverse environmental or accidental impacts on the phone/tablet/circuit board electronics. 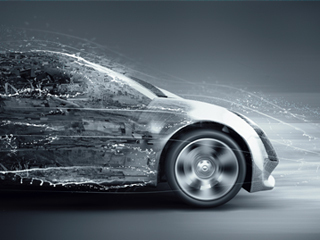 Nanotechnology based coating - ds shieldTM tailors roughness levels, and modify the energy of the underlying surface. 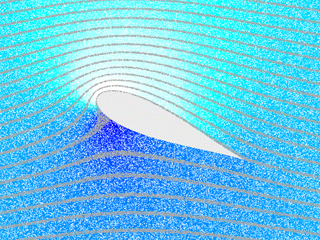 The flow-surface interaction can be engineered to delay the transition of flow to turbulence. Eventually, it helps reduced flow forces, and save costs for structures such as aerofoils and airplane wings. The reduced drag on wing surface helps improve the overall flight performance and significant fuel savings. Icing on aircraft surfaces, appendages, sensors and its impact on aircraft engines is a safety critical aspect of aircraft design that impacts the whole supply chain. The coating offers anit-icing feature and prevents ice formation on airplane surface. Nanotechnology based coating - ds shieldTM anti-fouling feature prevents the car surface from soiling against rain, puddles, dirt and offers a self-cleaning property. The coating forms a barrier on the surface and protects against adverse environmental impacts on the car surface. Moreover, it also offers an anti-corrosion feature to the car body as well as under carriage. Nanotechnology based coating - ds shieldTM provides anti-corrosion/anti-fouling features to general industrial applications such as pipes, machinery, equipments. 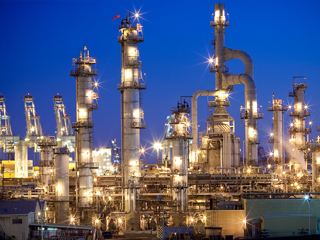 Harsh environmental conditions causes corrosion and rust formation on structures, pipelines, machinery and other equipments used in general industrial application. Moreover, fouling of these surfaces, damage the material quality and eventually make the structure/equipment useless. ds shield forms a barrier on the surface making the surface water repellent and protects against the extreme environmental conditions, corrosion as well as fouling.